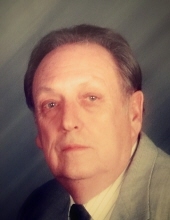 SUFFOLK- Franklin Jones, 80, died April 9, 2019. A native of Belle Haven, VA, he was a retired First Sgt. in the U.S. Army and served during the Vietnam war. He later retired as an admissions representative for a technical university. Frank was a member of Faith Lutheran Church, enjoyed woodworking, billiards, and spending time with family fishing on the Eastern Shore. Survivors include his wife of 50 years, Glenda I. Jones; son, Anthony Jones and wife Tanja; granddaughter Juliana; and brother, Isaac Jones and wife Sandra. To send flowers or a remembrance gift to the family of Franklin Delano Jones, please visit our Tribute Store. "Email Address" would like to share the life celebration of Franklin Delano Jones. Click on the "link" to go to share a favorite memory or leave a condolence message for the family.